Lifestyle Orthodontics - Invisalign for improving your smile. Invisalign is the clear alternative to braces. 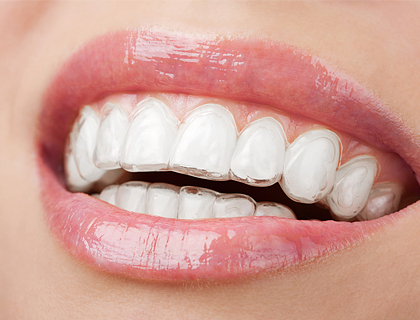 This treatment uses a series of clear, custom-made aligners to gradually move your teeth into alignment. These aligners are virtually invisible, comfortable to wear and easy to remove. Each aligner is individually manufactured for your teeth, and your teeth only and is worn for two weeks before moving on to the next. As you replace each aligner, your teeth will move - little by little, week by week - until they have straightened to the final position prescribed by your Orthodontist. Invisalign aligners are removable, which means you can eat, drink and floss with ease. Discover exactly how Invisalign works and hear just some of the treatment results. Why are crooked teeth a problem? Discover some tips as to why Invisalign is so valuable. Our Orthodontists will provide you with the best treatment option for your individual case. Most of the time, Invisalign or braces will be a suitable option and you will be able to choose your preference. In a small amount of cases, the Orthodontist may advise one option over the other. The majority of orthodontic cases are eligible to be treated with Invisalign. 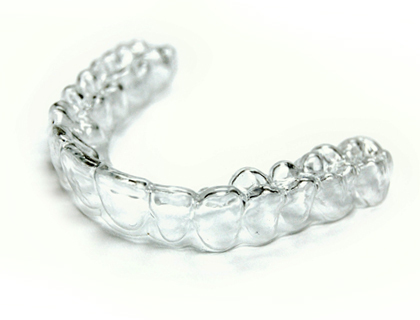 However, there are some complicated cases that cannot be treated with Invisalign. Please contact Lifestyle Orthodontics for an initial exam. We would love to help you determine if Invisalign is the right option for you. What if I have previously been told that I was not suitable for Invisalign? Because of increased Invisalign clinical experience, our Orthodontists treat an ever increasing range of complex orthodontic cases. Therefore, even if you were told in the past that you were not suitable for Invisalign, please contact Lifestyle Orthodontics for a consultation. The specialists at Lifestyle Orthodontics are very experienced with Invisalign and are often referred difficult cases (we love a good challenge! ).